Las Vegas is known for its amazing food, among other things (like, you know, weddings. Oh, and there's gambling too). We, at Paradise Wedding Chapel, are foodies. Big time Foodies. We like to cook and we like to eat out. We take our food very seriously. We have found some really great places here in town that would be perfect for your Las Vegas Wedding Reception. These restaurants will be able to accommodate any party size. Whether it is for an intimate dinner for 2, a casual buffet setting, or a white tablecloth fancy-schmancy event, we've got you covered. We have been to all of these places and have found them worthy of a place on our list of recommendations. Please contact us if you have any questions about any of these restaurants and then just let us know where you want to dine and we will set it up for you! BRIO invites you to gather with friends, family and co-workers to experience the flavors of Tuscany without leaving the country. Bringing the pleasures of the Tuscan country villa to Las Vegas, our chef-inspired Tuscan recipes are sure to tempt your palate. At BRIO we believe that “to eat well is to live well.” Buon Appetito! Brio Tuscan Grille offers two beautifully-appointed private dining rooms for groups up to 72. Brio is located at Town Square on Las Vegas Blvd. There is plenty of free parking. Private has never been so personal. Our Private Dining Directors coordinate with you to create a one-of-a-kind experience, customized to your group size. Private Dining menus are available on our website. Fleming's is located at Town Square on Las Vegas Blvd. There is plenty of free parking. 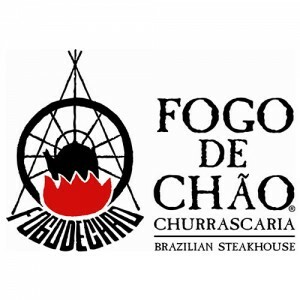 Fogo de Chão® is the perfect location to host your group or private dining event. Your guests will enjoy the elegant Brazilian dining experience, and you will appreciate our helpful and knowledgeable staff. Our restaurant provides unique private and semi-private dining rooms with the table layout flexibility you need as an event planner. We invite you to enjoy the delicious preparations of our gaucho chefs along with our gourmet salad bar, authentic Brazilian side dishes, and award-winning wine list. Welcome to Fogo de Chão. Complimentary valet parking is offered during dinner hours. Free self parking is also available. Maggiano’s has one main goal – to make people feel special. A Maggiano’s banquet room is the perfect backdrop for your wedding event, whether it’s a intimate rehearsal dinner, engagement party, bridal shower, or a packed reception. Tommy Bahama Restaurant & Bar is the perfect location to host your next event. Ample parking, curbside drop-off, a spacious patio, and elegant private dining room make planning and getting to your event a breeze. The newly remodeled private dining room features state of the art audio visual equipment. In addition, we offer customizable menus featuring fresh seafood and local produce and a variety of services and special features including event professionals with unparalleled hospitality, live music, and unique floral design services including leis and custom table settings. Visit the BEST Mexican Restaurant in Las Vegas Fresh food, family, friends and fun! We've been bringing people together to celebrate life's most meaningful moments for over 30 years. Family owned, family operated, and family friendly! Located only 1+ miles west of the famous Las Vegas Boulevard (The Strip), we are a convenient and central location for wedding dinners, meetings, after work, lunch dates, and any festive gathering! We have full service catering to your location, all night dining, deliveries, award winning margaritas, a gaming cantina! Full dinner menu served 24/7 365.....we never close! Welcome to the Bootlegger Italian Bistro featuring the original recipes of Chef Maria Perry. Maria and her husband “Al” are respected pioneers of the Las Vegas restaurant industry. Chef Maria and their daughter, Lorraine Hunt-Bono along with Lorraine’s son, music producer, Ron Mancuso and his son Roman oversee the operation. This dedicated Italian family fondly contributes their combined talents to bring the finest food, drink, hospitality and entertainment to the many friends, celebrities and visitors who patronize the restaurant – continuing a family tradition in Las Vegas for over 65 years. Bootlegger Bistro has private event rooms and for larger parties, they have their Copa Room. Come celebrate in the Carmine’s family style tradition. Our Carmine’s classics, including fried calamari, chicken scarpariello, meatballs, eggplant parmigiana, rigatoni country style, linguine with white clam sauce, and countless other dishes are served in the abundant portions guests have come to expect. Buffet menus and cocktail reception packages are also available to fit any entertaining needs you may have. Carmine’s Las Vegas is a 20,000 square foot restaurant that features 8 private dining rooms where hungry guests can enjoy Carmine’s famous family-style Southern Italian specialties. Located at the Forum Shops, Carmine’s is the perfect venue for bachelor and bachelorette parties, weddings and more. We offer private dining rooms for small groups of 15, intimate gatherings of 25-50, and parties of 100-500. Welcome to Border Grill, Las Vegas’ destination restaurant overlooking the Lazy River just off Mandalay Beach, where Chefs Mary Sue Milliken and Susan Feniger, Bravo’s “Top Chef Masters” and Food Network’s “Too Hot Tamales,” want nothing more than to spice up your day. With two floors of patio dining, and a beautiful outdoor bar, it’s the perfect setting for sipping margaritas and savoring the bold flavors of Mexico while enjoying views of the beach and pool. Border Grill at Mandalay Bay offers menus to accommodate both elegant and casual gatherings – from sit-down dinners and festive buffets to cocktail parties with tray-passed hors d’oeuvres. The colorful murals make for a hip, lively backdrop for any celebration. With two stories (9,100 sq. ft.) of dynamic, flexible dining areas Border Grill features views of Mandalay Bay Beach and a combination of indoor and outdoor seating. At Buca di Beppo Italian Restaurant, we’re the experts at turning your events into the perfect celebration! From bridal showers to wedding receptions, we know how to throw an unforgettable party! Our fun and festive semi-private dining rooms are uniquely decorated, comfortable, and inviting, making Buca the perfect place for hosting a large banquet or intimate gathering. In the spirit of Italian culture, our dishes are served family-style, ideal for sharing with family and friends. Plus, our diverse menu will please just about anyone! We can accommodate any group event or budget – so sit back, relax, and let us do the planning. Salute! Buca di Beppo has 2 convenient locations, one is inside of the Excalibur Hotel and Casino, the other is a free-standing building at Flamingo & Paradise with plenty of free parking. When you come to Blue you can chose between three different atmospheres for a great experience: the casual patio vibe, front and center stage with ever-changing live entertainment or the chance to become an "exclusive" in the VIP lounge. We are known for offering over 42 mouth-watering signature Martinis, specialty cocktails, fine wines & spirits, and delicious sharable bites. Our legendary Happy Hour is offered from 4pm - 7pm daily, with discounted food and half-priced drinks. The relaxed happy hour vibe smoothly changes as the live bands stimulate our guests to dance and enjoy the popular songs of favorite artists.